SharePoint Solutions, a national leader in Microsoft SharePoint Products and Technologies training, consulting and add-on software, has expanded its SharePoint training classes to Boston and Seattle. The Boston classes are led by Ben Hutchins, a senior product manager with the LDS Church, and the Seattle classes are led by Janice Thorne, a full-time instructor for SharePoint Solutions. SharePoint Solutions, a national leader in Microsoft SharePoint Products and Technologies training, consulting and add-on software, has expanded its SharePoint training classes to Boston and Seattle. The two new markets add to the company's existing sites in Charlotte, Chicago, Dallas and Nashville. "We're committed to bringing our expert SharePoint training to the regions of our country where interest and demand are the highest," said Jeff Cate, founder and president of SharePoint Solutions. "Both locations have the latest in technological equipment and are in settings designed for comfort and optimum learning." 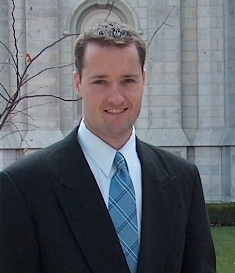 The Boston classes are led by Ben Hutchins, a senior product manager with the LDS Church. He has more than eight years of direct experience in the enterprise portal market, and he holds a master's degree in information management from Syracuse University. Hutchins also worked at PricewaterhouseCoopers as an IT consultant and instructor/course developer, and then at Hewlett-Packard where he designed and implemented the information architecture for HP's first enterprise corporate portal. When HP merged with Compaq in 2002, noted as the largest IT merger in history, Hutchins led the team responsible for migrating content from two distinct Intranets to one "@hp" enterprise portal. The Boston classes are held at MicroTek Computer Training Center in Burlington, Mass. The Seattle classes are led by Janice Thorne, who is a full-time instructor for SharePoint Solutions. She was previously a SharePoint administrator and trainer for Chart Industries in Cleveland, Ohio. Thorne was heavily involved in the company's rollout of SharePoint Portal Server 2003 and subsequently the upgrade to MOSS 2007. In addition to SharePoint technologies, she also has expertise in Windows Rights Management, Microsoft CRM and various business intelligence technologies. The Seattle classes are held at MicroTek Computer Training Center in Kirkland, Wash.
For a complete list of SharePoint Solutions' training locations, courses and dates, visit http://sharepointsolutions.com/sharepoint-training.html. Information may also be obtained by calling (615) 515-0210 x2 or e-mailing training @ sharepointsolutions.com.